The US food and drink giant is facing pressure to split in two - and there are rumours some of its directors want to examine the idea. CEO Indra Nooyi, however, is reported to be against the notion. Investors and analysts clamouring for change at PepsiCo should beware the pull of short-term financial gain and recognise the long-term benefit of the company's focus on nutrition, writes Dean Best. Nelson Peltz's Trian Fund Management investment fund reportedly no longer owns shares in PepsiCo. A bloc of PepsiCo directors are said to want to examine a possible business split - while CEO Indra Nooyi, who is said to be opposed to the move, is reportedly working on two major acquisitions. PepsiCo's chairman and CEO, Indra Nooyi, is under pressure, the group's strategic review has been extended and, this week, talk of a business split has been fuelled by the arrival of activist investor Nelson Peltz. 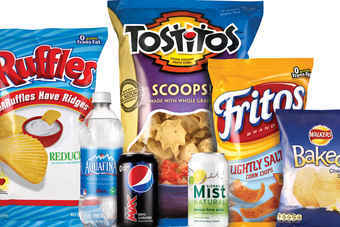 So, asks Michelle Russell, what's eating PepsiCo?